Located in a public authority housing estate, with a single storey to the rear and two storey's at the front, due to ground conditions. 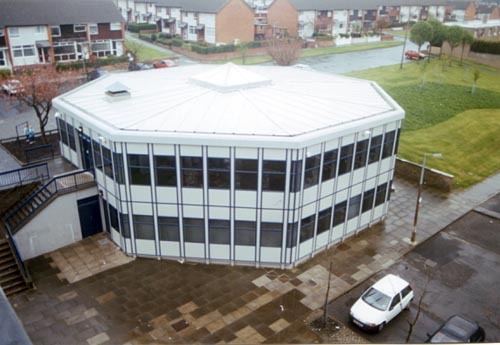 The building is octagonal with a raised glass roof to the centre. 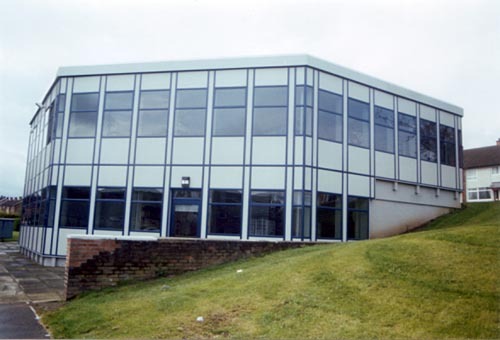 Most of the refurbishment was external. Internally the major change was the resiting of the counter, which now faces into the library.